For many young people just starting out in their careers, networking can sound like a scary and lofty idea. The truth is, networking works. It can be a great way to make connections move up professionally, but how many of us practice this skill regularly? When you think of networking, you may picture an event in a hotel ballroom, complete with nametags, suits, and plastic beverage cups, but there might be an easier way to meet fellow professionals. Think about where you spend much of your time with people working in the same field; that’s right, we’re talking about your office. For successful networking, you’ll want to be comfortable talking with people outside of your immediate team. It doesn’t have to be about work at all; networking is all about putting a face with a name. For example, if you’re a sales representative, get to know someone in IT. You can call on these contacts down the road for assistance with projects or as a reference for a new position. Showing interest in your coworkers and superiors makes them feel good and will help them remember you. These conversations will make a difference when it comes time to ask for a raise or promotion. Regardless of who you talk to, your connections can provide new insight that you didn’t have previously. How did you get to this position? What are your likes and dislikes about this position? What do you think about this problem I’m dealing with? What have you learned through experience? Building an effective business network might sound daunting, but with a little practice, it’ll become second nature. 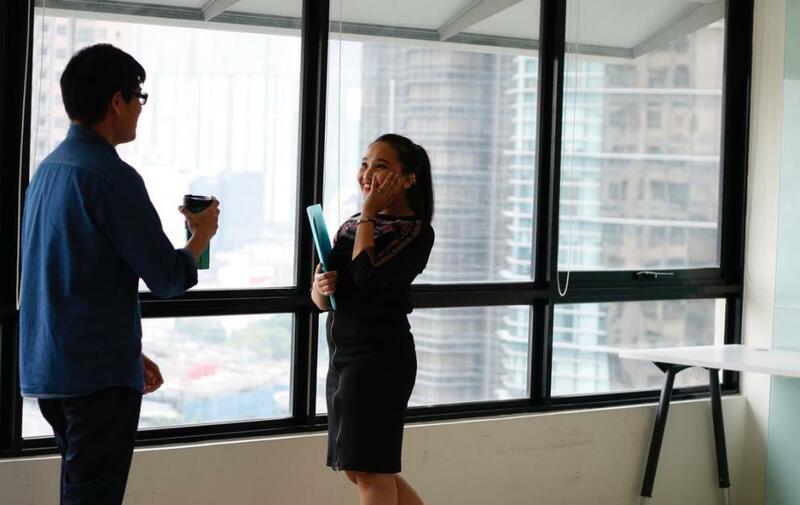 Mentors can help in the transition to a new job, especially for new employees, and enable introductions with people across the company. As employees become more comfortable, mentors can become references for promotions and serve as a sounding board for thoughts and ideas. At Pacific Office Automation, we believe in the power of mentors and team building to help all our employees build a career they’re proud of. If you’re interested in a tech or business career, check out current job openings and apply online today.